I feel relaxed, recovered, restored and set up for Sunday. 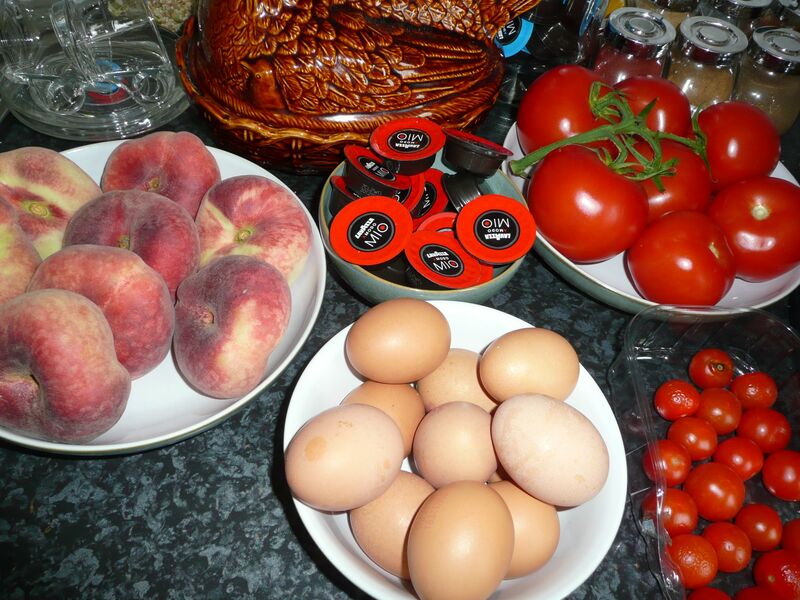 I have fresh eggs, ripe peaches and tomatoes in abundance. These ingredients could become roast tomatoes and poached eggs for breakfast, later a slow cooked Basque stew (the squids in the fridge) with pasta followed by a fresh peach cobbler with home made custard – or a might just guzzle the fresh peaches one by one, who knows. 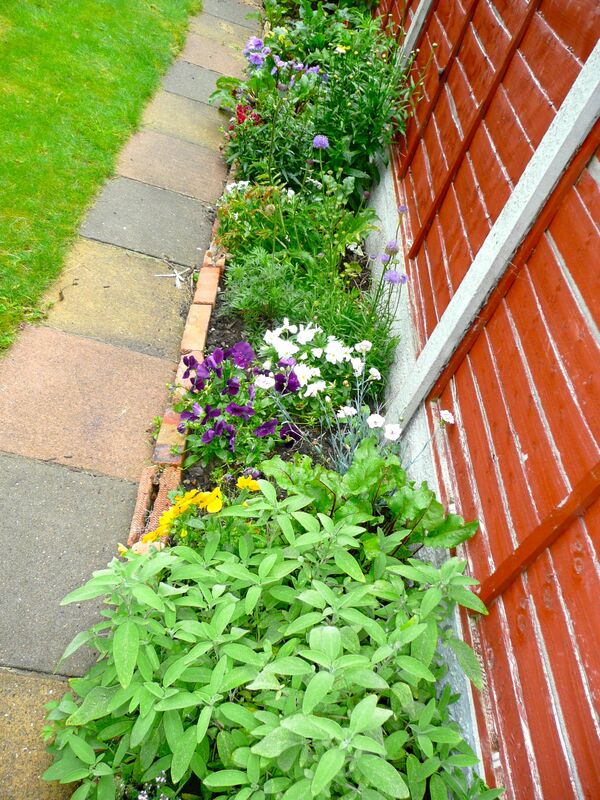 However I do intend to potter around and do a little light sewing and a little crocheting, perhaps if I am very lucky in the garden. 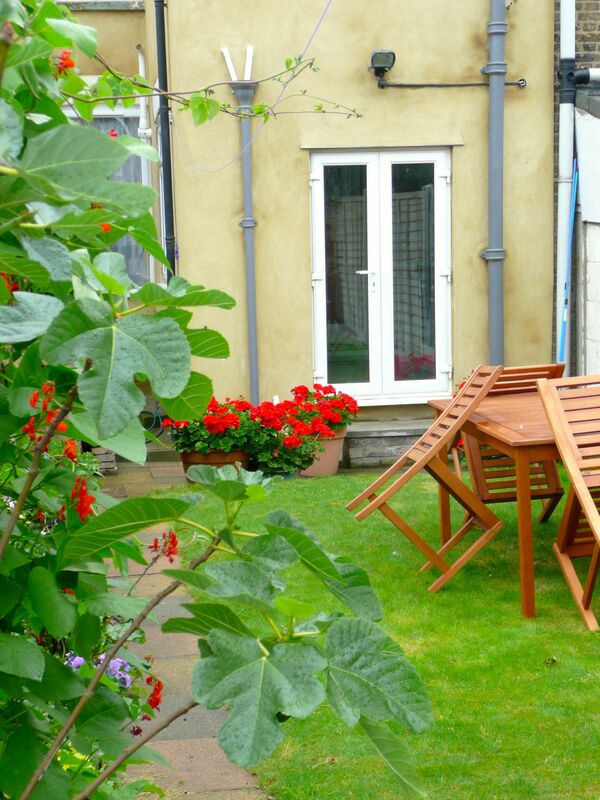 The view from the patio doors. Shall we wander? 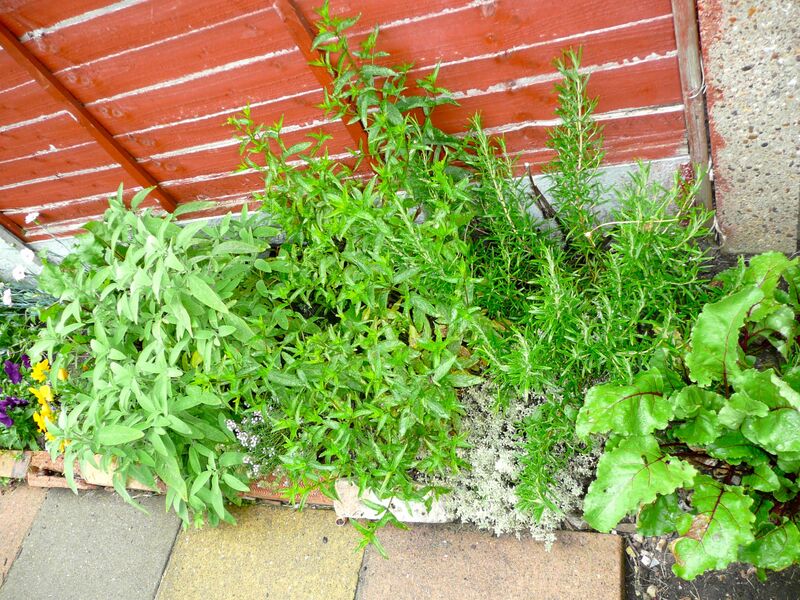 The herb bed is doing well, rosemary, two thyme’s, mint and sage, with the sporadic placings of beetroot adding colourful leafy touches. 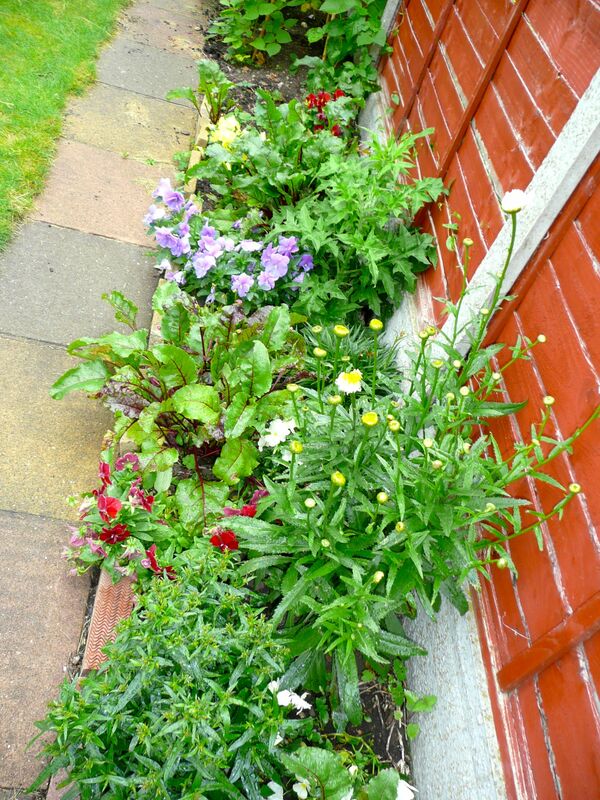 Dead heading really pays off, especially with the ruby red geraniums, although I am leaving the poppy’s now to allow them to develop a couple of seed heads. 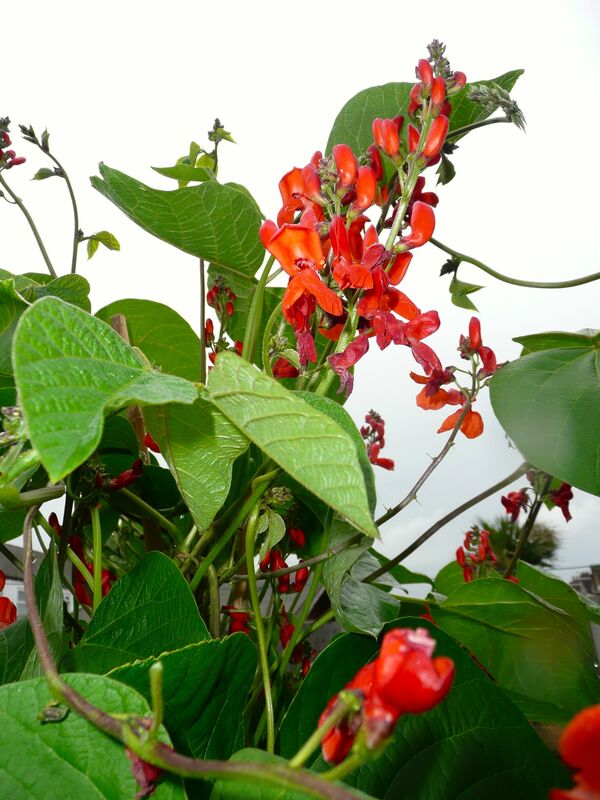 This plant is going to be magnificent in a couple of days. 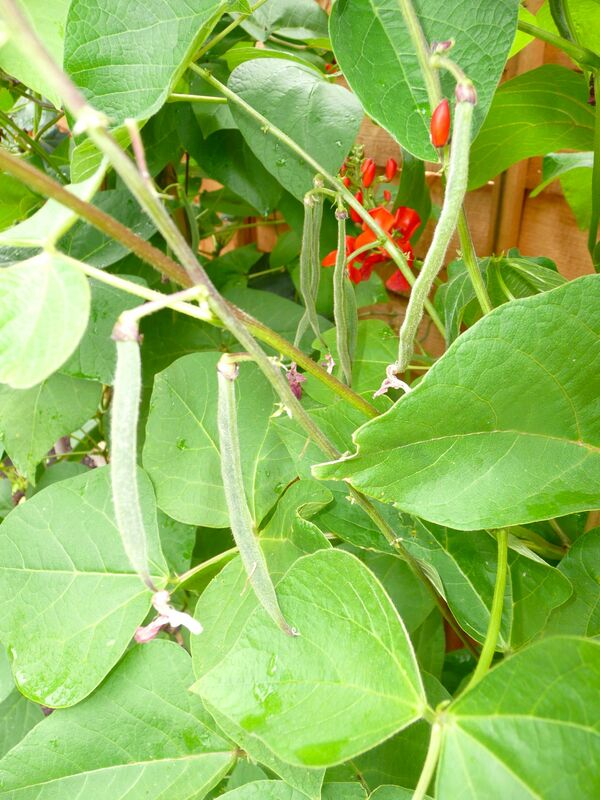 And the runner beans are really coming into their own. The bees love them, its amazing how many different types of bees visit, I wish I knew more about bees. But shall we look a little closer? 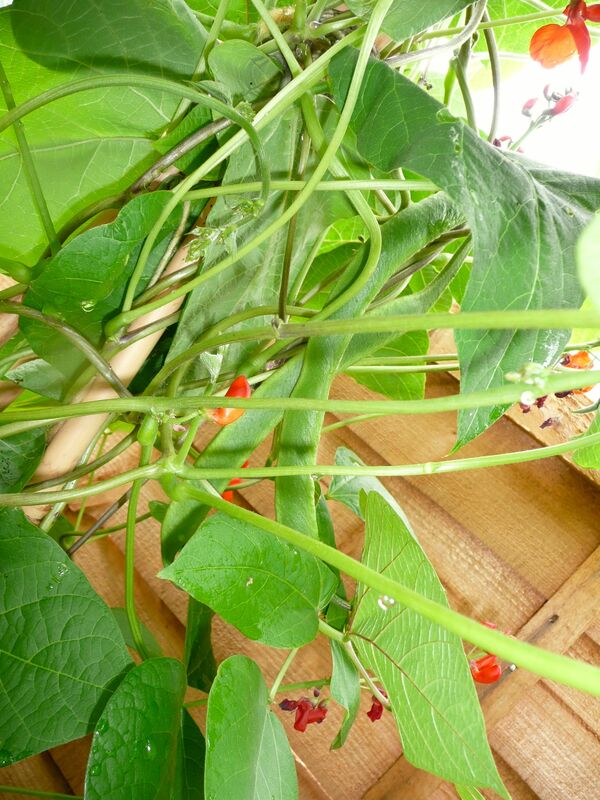 And what do we discover, two wonderful runner beans just ready for picking. And lots more coming up the rear. 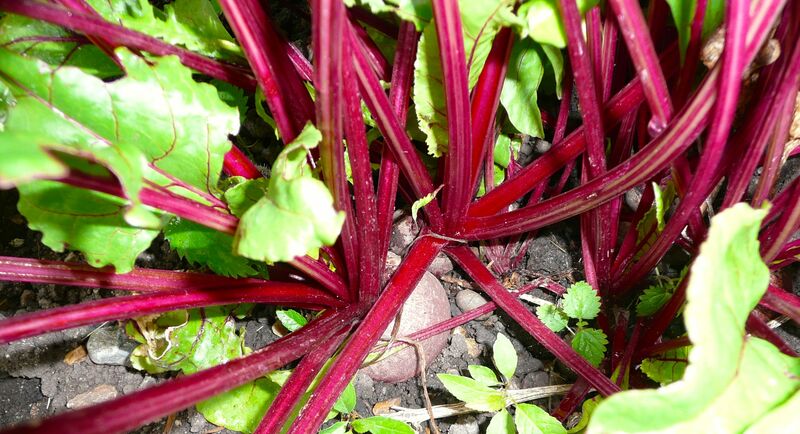 The beetroots coming along nicely, it will soon be ready to enjoy in a salad. 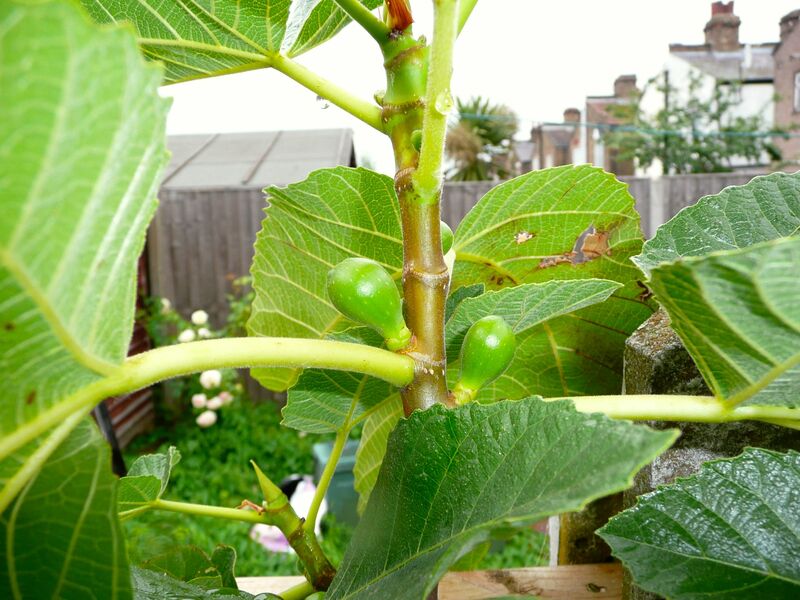 And the fig tree is sprouting figs all over the place. 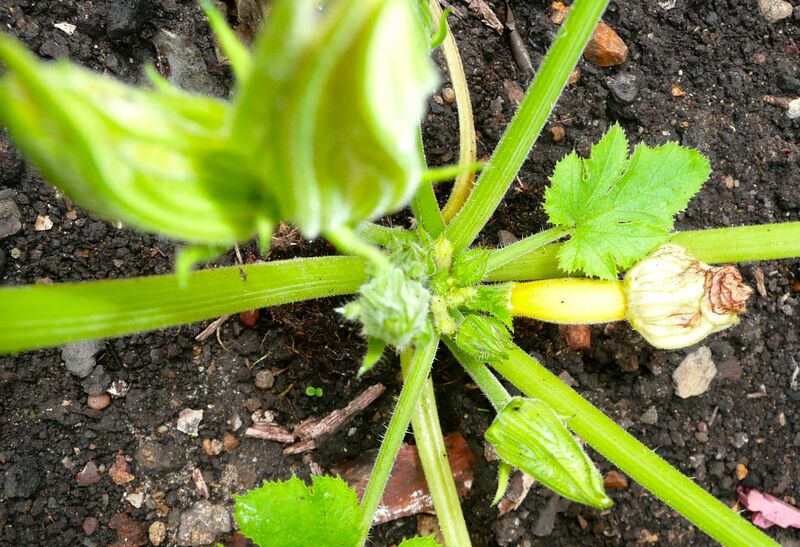 The courgette plants are starting to fruit. 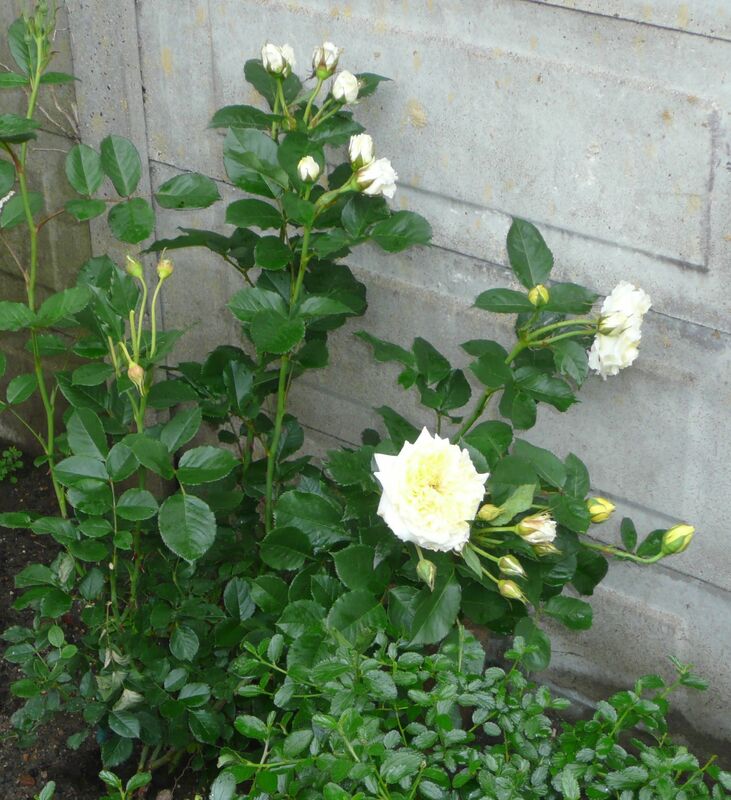 We treated ourselves to a climbing rose from a show last weekend, David Austin’s Pilgrim. It is going to take a while to settle, but hopefully will cover the shed next summer. 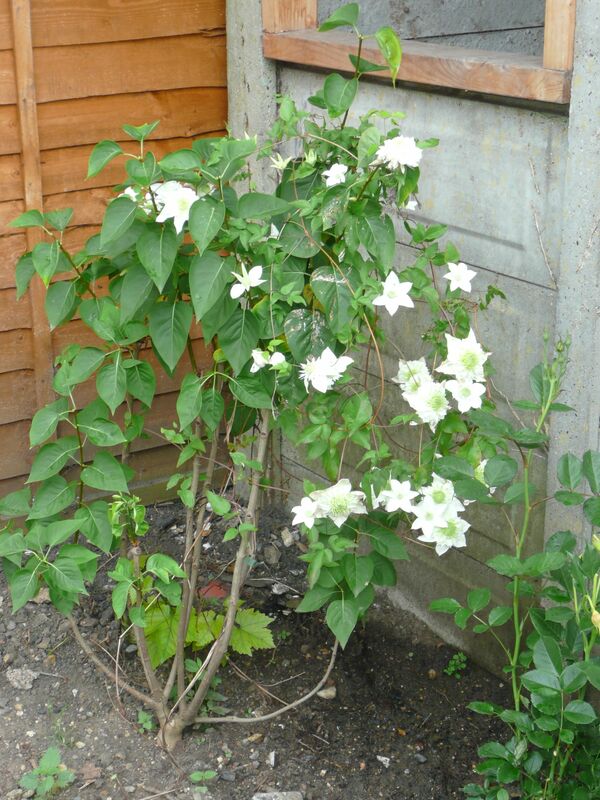 And go beautifully with the clementis which is flowering nicely and over taking the lilac tree at the moment. 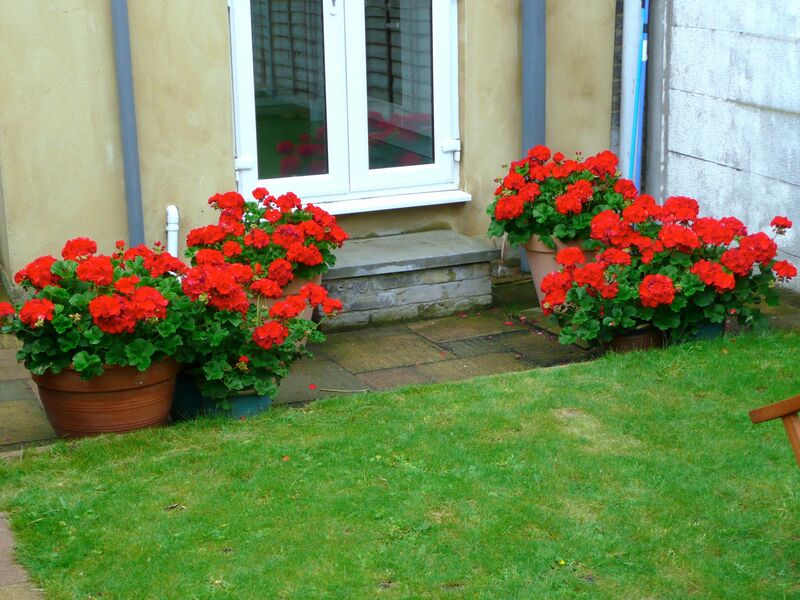 the full impact of the geraniums hits me firmly between the eyes, as does their wonderful scent. Fingers crossed for a dry day. 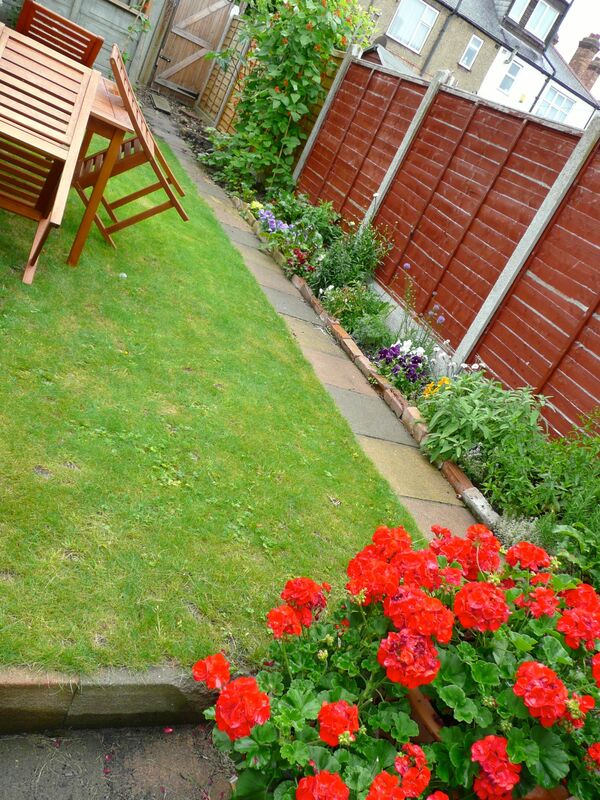 I remember your first garden pictures and it is unrecognisable now. Like everything you do it’s perfect! 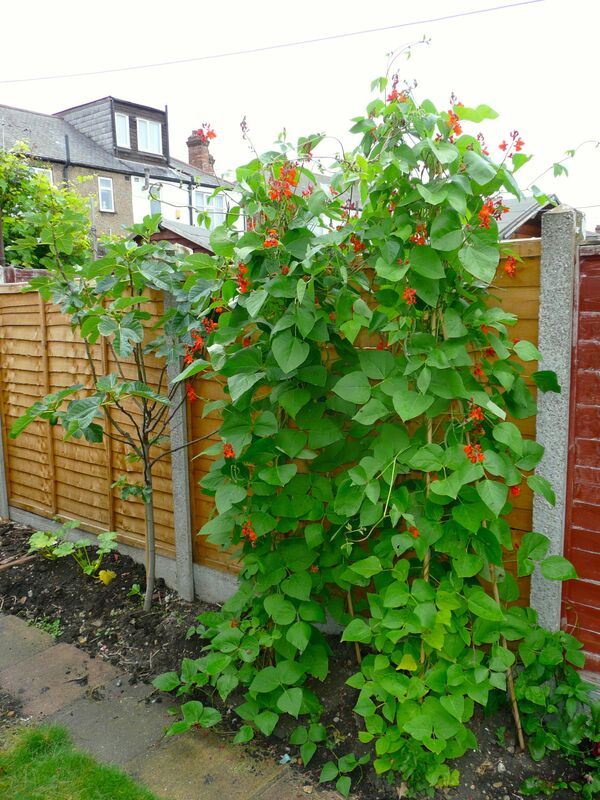 Your runner beans make me so jealous as they are not sold here at all.